We are busy preparing for this years Region 31 Sweet Adelines International convention, which is being held in Cardiff this May. 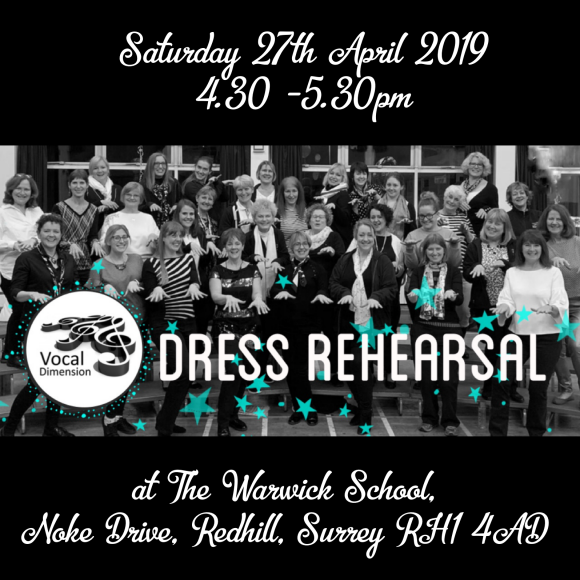 As we have done over the past few years, we will be flinging open our doors and welcoming everyone to watch our Dress Rehearsal and enjoy an afternoon of musical entertainment, tea and cake! This is a FREE event and we would absolutely love to perform to a big, friendly audience so please do come along and why not bring some friends and family too!